An interesting article about Korean food in L.A. .... Get the audio and listen! LOS ANGELES: As the sun begins to sink behind the Santa Monica Mountains and the northbound traffic thickens on the 405 freeway, the hungry refresh their browsers. I recently got a barage of requests for "advice". I really am honored and EVERY time try my best to give the most and most apt advice I possibly can given all the variables involved. Supporter MANIFESTO ON BEHALF OF SOLIDARITY. That´s a manifesto many bloggers around the world have posted in their blogs. Here you can find the translation in different languages. Would any of you volunteer to translate the manifesto into your language? Supporter Why Do We Celebrate Black History Month? Check out Remix America's latest blog post HERE. Supporter HOW I GOT THE DISSERTATION HELP TO GET MY DISSERTATION AAPROVED !!! This blog has been created to facilitate English Language Learning. You will find reading guides, exercises, videos and material you need to improve your English. A journey of thousand miles starts with a single step. Chinese Proverb. 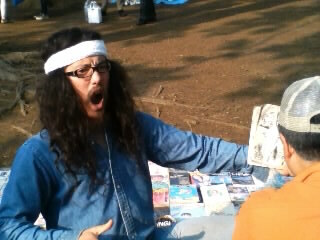 Supporter "Manga Man" storytelling revives - why not an EFL version? I'm a BIG proponent of storytelling as a way to support language acquisition. Especially culturally specific stories like folktales, jokes, anecdotes and personal stories.